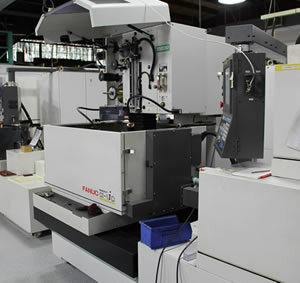 United Tool & Machine specializes in the design, development and fabrication of metal and plastic components requiring any mix of manual machining, CNC machining, Wire EDM, metal stamping, grinding, bending, and forming. Committed to quality workmanship, our ISO-certified team ensures stringent quality standards by maintaining tight controls at each production phase. For more than 60 years, United Tool & Machine has brought ideas from prototype to production and from design to manufacture. We strive to meet our customer’s requirements by offering a variety of inventory programs including: Kan-Ban, Just-In-Time, Blanket Orders, and Dock-to-Stock. We welcome the opportunity to deliver results for your company.